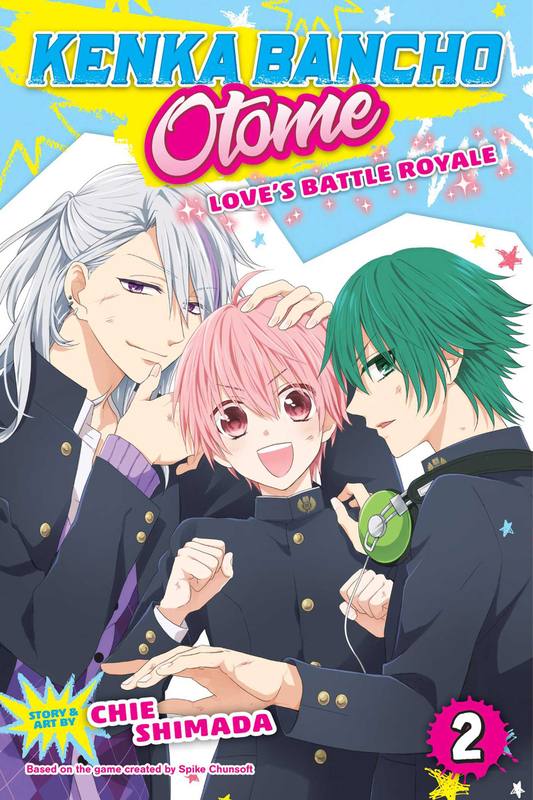 Kenka Bancho Otome: Love's Battle Royale manga volume 2 features story and art by Chie Shimada. 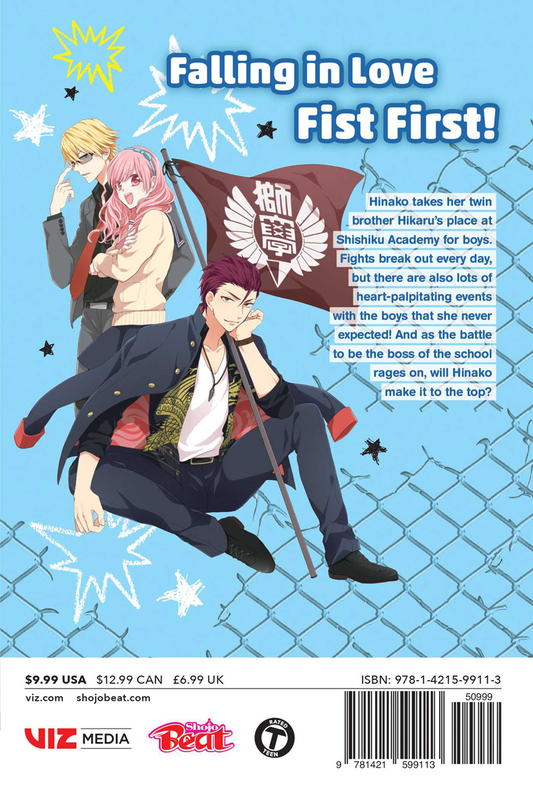 Hinako takes her twin brother Hikaru’s place at Shishiku Academy for boys. Fights break out every day, but there are also lots of heart-palpitating events with the boys that she never expected! And as the battle to be the boss of the school rages on, will Hikaru make it to the top? Hinako meets with her half-brother that is the leader of the third years. Later they go to the beach and then sports day come up. Later Totomaru quits school. This volume marks the end of their first year at school.